Pieces sculpted from resin and hand-painted. 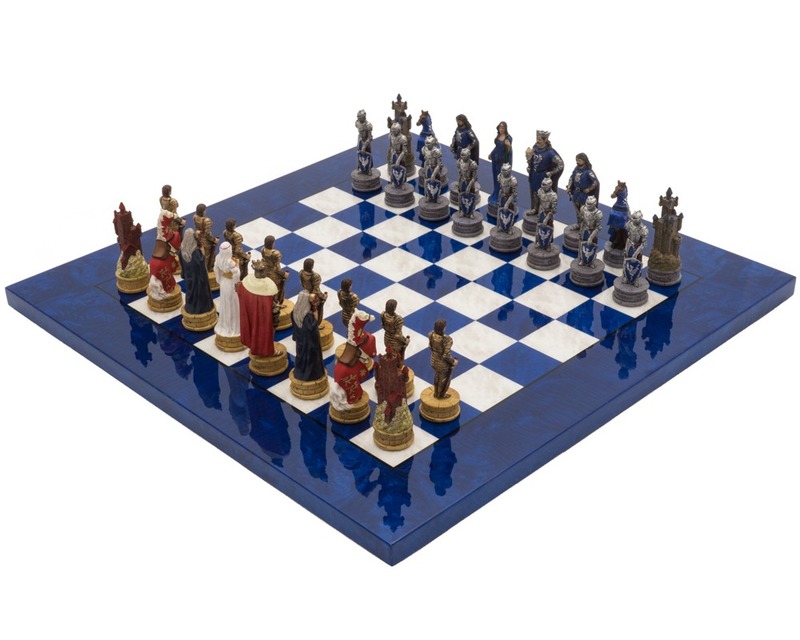 Stunning rich blue erable & elm glossy wooden board. 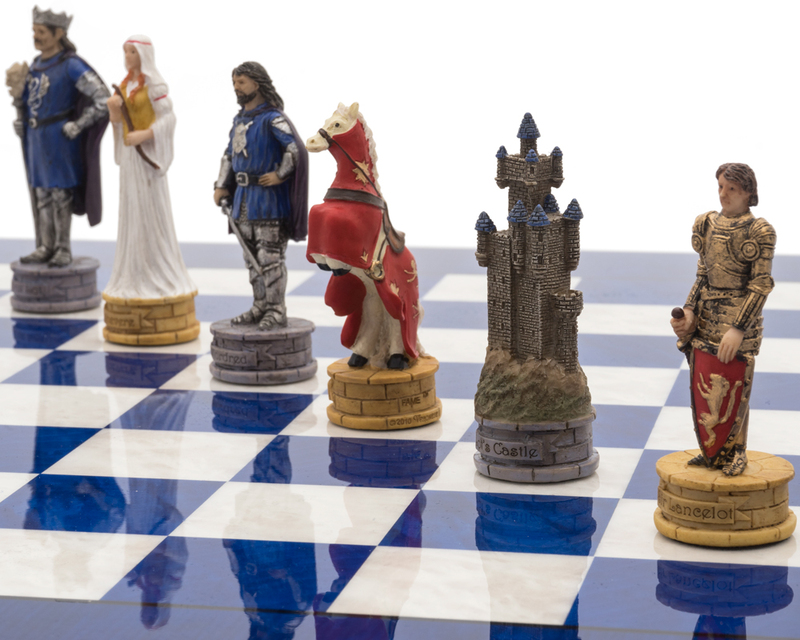 A stunning Arthurian themed complete chess set from the Italian craftsmen at Italfama. 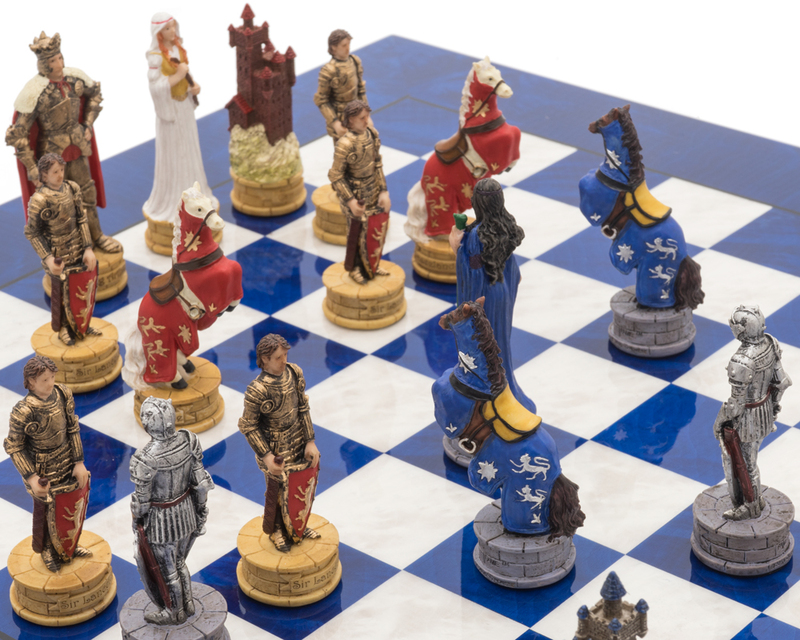 The fascinating folklore of England is stunningly incorporated into this one-of-a-kind luxury chess set. 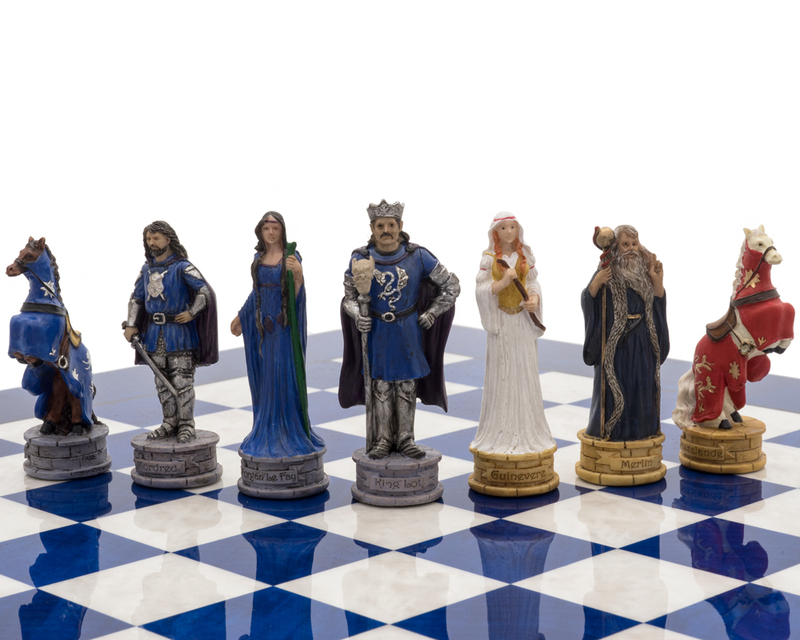 The expert artisan chess craftsmen at Italfama in Florence, Italy have created these simply stunning Arthurian themed pieces, skilfully crafted from resin and hand-painted to give a degree of craftsmanship that has to be seen to be believed. 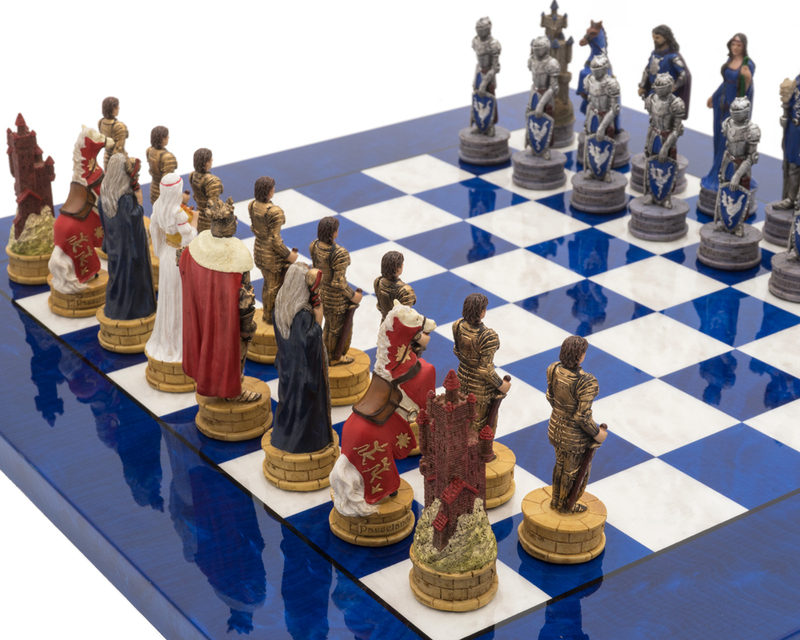 The two armies of King Arthur and the wicked Morgana face one another with a truly amazing level of detail. 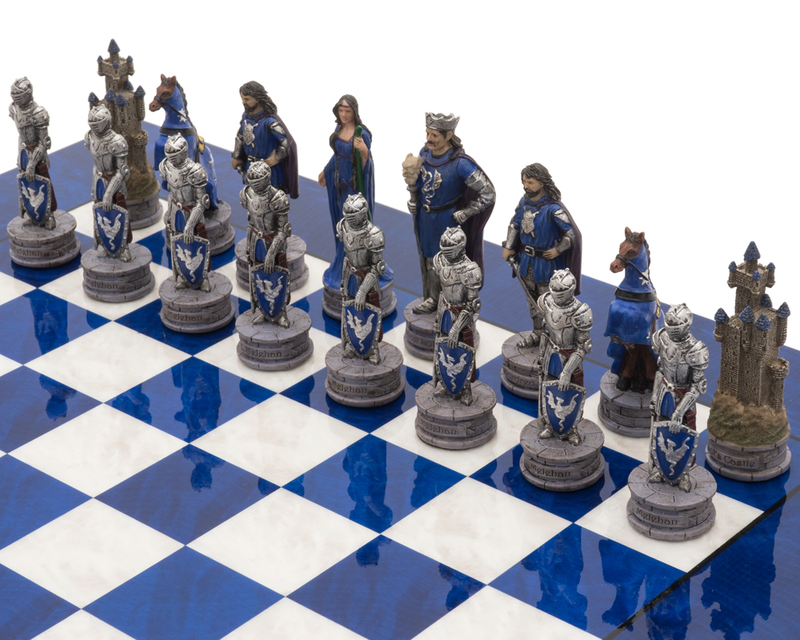 We have paired these chessmen together with uniquely sleek and stylish rich bue erable and elm board with a high gloss finish, on which these two opposing armies sit perfectly. This is an atmospheric set of exemplary quality. 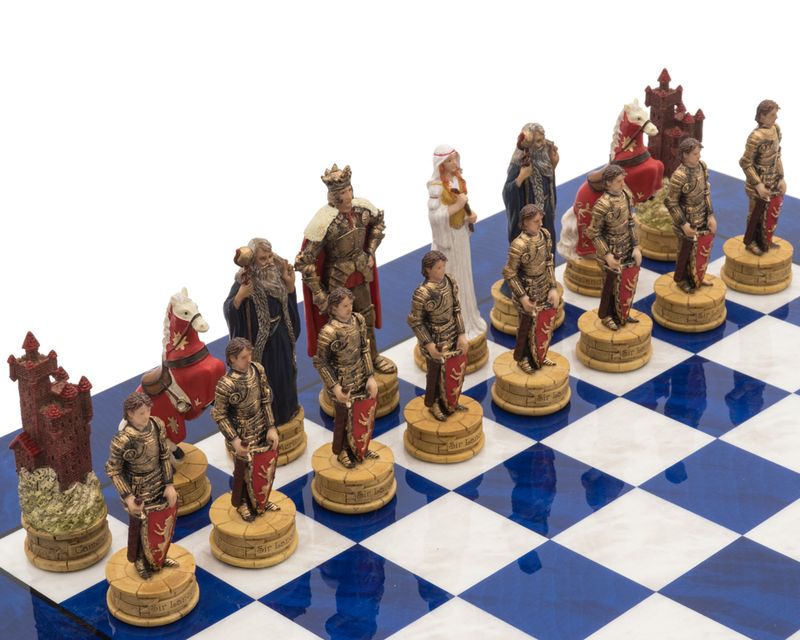 As with all Italfama products, the uncompromised quality of the pieces is presented at an amazing price point.